After a glamorous Cate Blanchett offering last month, British Harper’s Bazaar’s November 2018 cover belongs to model Maartje Verhoef. 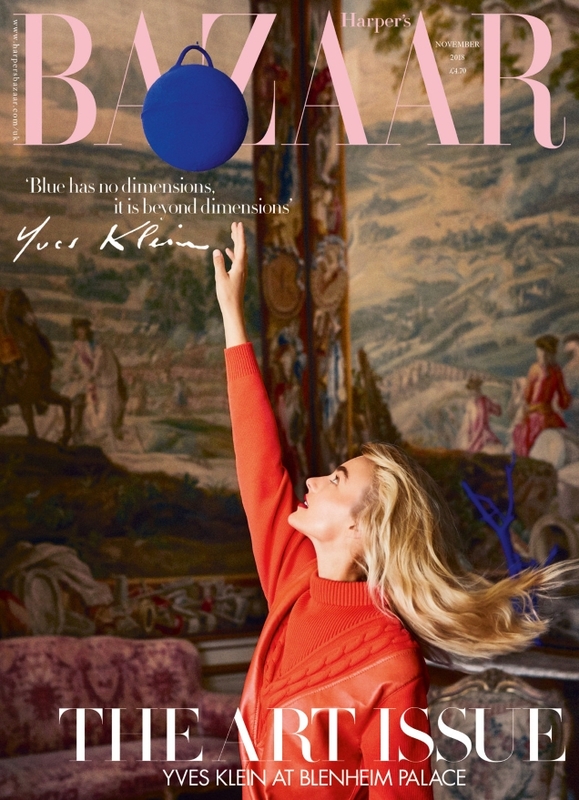 To celebrate the exhibition of artist Yves Klein, the Dutch beauty is captured on location around the 18th-century baroque magnificence of Blenheim Palace, photographed by Josh Shinner and styled by Charlie Harrington. 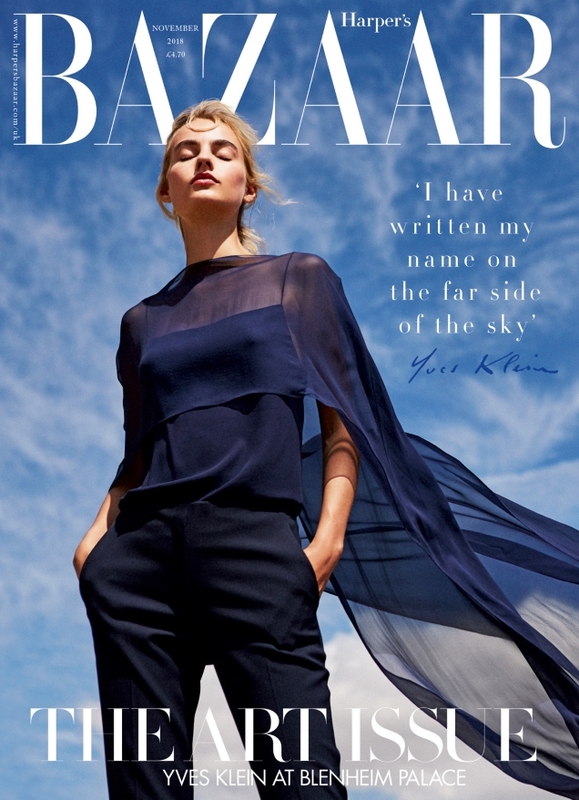 In the special subscribers cover (below), Maartje poses under bright blue skies, which takes inspiration from Klein’s vibrant works, while in the newsstand alternative (after the jump), she is shot amongst the palace’s ornate surroundings. making for an unconventional cover for the magazine. One cover, in particular, was a clear winner with our forum members. “Ooooh that looks lovely!” sighed a delighted mikel the second the cover (above) came to light. “Now this I can get behind, a truly stunning image. Shame it’s only for the subscribers,” shared Miss Dalloway. “Love everything about this!” echoed KateTheGreatest. “I like the simplicity, very late 80s, in a non-cliché way,” HeatherAnne admired. Lola701 was quick to gives the thumbs up too. “I don’t know, I just love UK Bazaar! It always looks fresh. I think sometimes magazines are taking the obvious gimmicky route, thinking it will look fun but there’s something fun in an idea of doing something fresh,” she said. “I love this!” shared MON, in agreement with everyone else. Like what you see? Be sure to check out the accompanying cover story and join the round of applause here.